With the NCAA’s moratorium on new bowl game set to expire in 2019, Brett McMurphy reporting that three new bowls could be approved, including one in Myrtle Beach. Is a college football bowl game headed to the Myrtle Beach area? Myrtle Beach is reportedly among the sites for a new college football bowl games in 2020. The NCAA’s Competition Committee is possibly recommending three new bowl games. Former ESPN reporter Brett McMurphy cited multiple unnamed sources. I’d go to a Myrtle Beach Bowl. I’d prefer it be in Charleston, but Myrtle could be fun too. 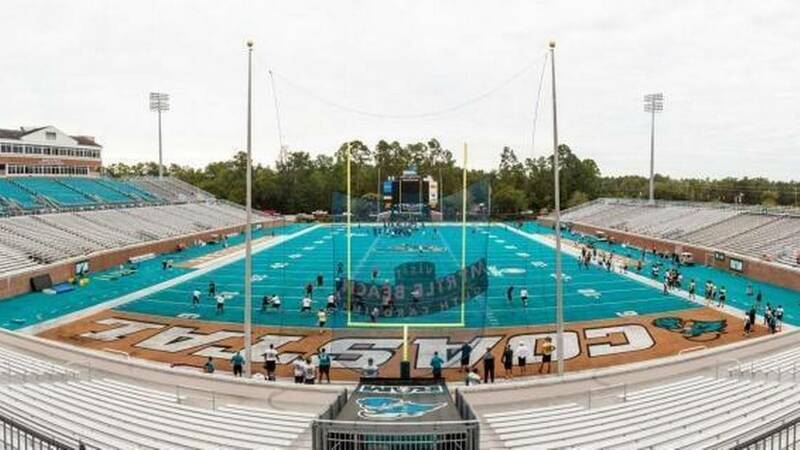 I hope one of the conditions is they have to get rid of the terrible teal turf. Myrtle would be the best location for a Niner bowl. Easy drive and cheap hotel rates in December. clt applauds you for spelling myrtle correctly. I like it, hope CUSA gets that spot. 43 bowls if the new ones are approved. That is 86 out of 129 programs (plus 1 transitional). Two thirds (almost exactly) of teams will be playing postseason. If a bowl game isn’t the minimum standard for your program, you are doing FBS football wrong. Also, I cant help but scratch my head at how this applauded by some of the same people who get worked up about a “trophy for everyone” in kids sports… this is even worse than the ever expanding playoff structure of most pro sports… No one likes to be left out of the party, but at least those teams have a theoretical shot at the title. my guess is with some new bowls coming, we could see some other ones folding come 2020. I hate to say this, but I hope so. I hate this oversaturation of bowls. We have sub-.500 teams playing in empty stadiums every year now. Seven wins should be the absolute minimum. I’d rather it be 8, personally. I agree Lew, my personal feelings line up with yours. With that said, these lower tier bowls are great access for a young growing program like ours. We need to get to these things and keep building exposure and it helps recruiting. Also these lower tier bowls are typically around the holidays, it will be much easier for us to get to Myrtle Beach than say, Shreveport or the Bahamas around Christmas. Our first bowl is one that needs to be well attended to help us move up the pecking order, Myrtle Beach or Charleston is our best chance to make that happen. That being said, in my perfect world I would make it a 7 win average, not 6, so that when they have to dip down they grab a .500 team instead of a 5-7 one. ESPN is making money on the bowls as-is though, so don’t expect any reform until that changes. These lower tier bowls allow for more practice time, a trip players can look forward to, and more college football to watch on national TV in December. I don’t take them that seriously. If you don’t like them just ignore and don’t watch. clt likes to have the bowl games on in the background while cooking. Jaminniner, I appreciate them on that level. They fill some dead air time during those months. I just couldn’t ignore the hypocrisy. As NLP said, for established programs, they really are participation trophies. I also agree with chidave about the lower tier bowls being the place for a program like ours to build some momentum and a reputation. An ambitious coach, say one that doesn’t make statements along the lines of “its a really bad time to draw App” would be licking their chops at a chance to get into a Myrtle Beach bowl, and drag 10k+ fans down to a convenient destination and earn a W.
Another bowl game I won’t care about. Getting to play another game by having a 5 or 6 win season. What a joke. I would prefer to have less bowls but make sure ALL 8 won teams get in before 7 win teams get in regardless of conference. I don’t want the Prig5 getting all the bowl slots. 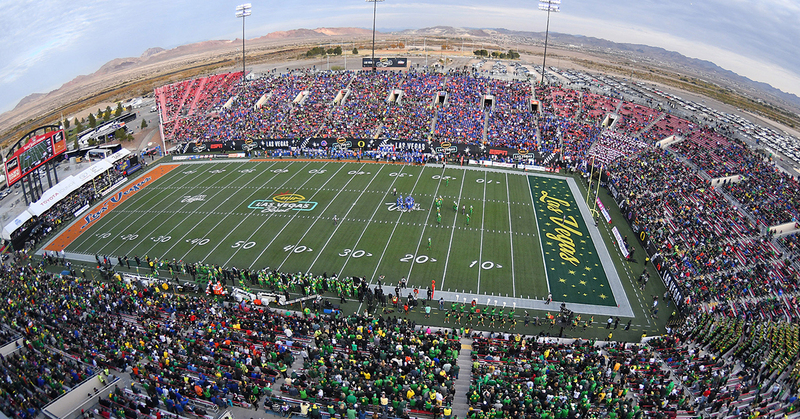 The new bowl created by ESPN begins in 2020 and will feature teams from Conference USA, the Mid-American and Sun Belt. Each conference will play four times between 2020-25.